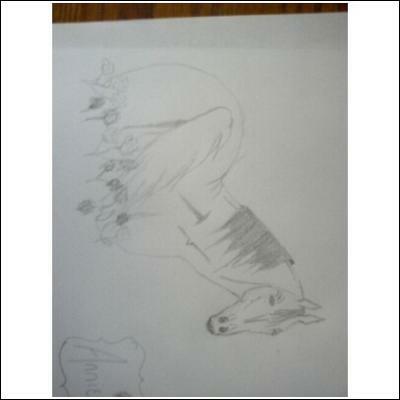 I found a picture of a horse and I just drew! And yes this is free hand drawing! this is soooooooooooooooooooooooo cute!!!! I love the angle the horse is positioned at, very unique and cool!! Really good!!!!!!!!!! !